bcooksley edited projects for E472: Qt World Summit Berlin, added: Event: Promo; removed Event: Bugsquad. paulb added a comment to T8745: Promoting KDE and its projects at the downtown of Vienna during Akademy 2018.
derkits added a comment to T8745: Promoting KDE and its projects at the downtown of Vienna during Akademy 2018.
cahfofpai updated subscribers of T8745: Promoting KDE and its projects at the downtown of Vienna during Akademy 2018.
cahfofpai added projects to T8744: Going out to public spaces to promote KDE and its projects: Event: Promo, KDE Promo. cahfofpai added projects to T8745: Promoting KDE and its projects at the downtown of Vienna during Akademy 2018: Akademy, Event: Promo, KDE Promo. skadinna created E381: Plasma 5.12 LTS Release Announcement. ltoscano edited projects for E380: [Tentative] KDE Slimbook II launch, added: Event: Promo; removed Event: Meeting. 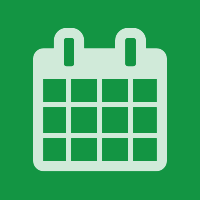 ltoscano updated the image for Event: Promo from F5685461: fa-calendar-green.png to F5685462: fa-calendar-green.png. ltoscano set the image for Event: Promo to F5685461: fa-calendar-green.png.